NBN Co chief Bill Morrow has flagged that throttling the data of so-called “extreme users” is one of the options it is looking at to free up bandwidth bottlenecks on its fixed wireless network. The proposal, which is one of a number of options being looked at by the company behind the rollout of the country’s National Broadband Network (NBN), was raised by Morrow during a Parliamentary Committee hearing on 4 June. “Our average consumption across the NBN network is just under 200 gigabytes per month, and when you look at…fixed wireless, it’s substantially less than that,” Morrow said. “However…there’s a large portion that are using terabytes of data. “Now, one of the things that we’re evaluating…[is] a form of fair use policy to say we would groom these extreme users,” he said. According to Morrow, this grooming – meaning traffic shaping – would likely occur during busy period of the day when heavy users tend to impact the broader majority of customers on the network. During non-congested or non-busy periods, meanwhile, the “extreme” users would be free to pull down as much data as they want. It is understood that NBN Co already employs a similar fair use policy for users on its satellite service. Morrow told the Parliamentary Committee undertaking the inquiry into the business case for the NBN that these “extreme” users are predominantly gamers on the fixed wireless. However, Morrow was also careful to stress that, as a Layer 2 provider, NBN Co does not have the data to specifically single out gamers as the primary cause of data bottlenecks on the fixed wireless network. 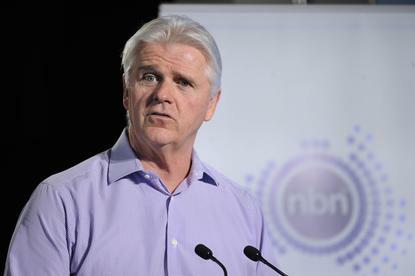 Morrow’s comments come just weeks after he said that NBN Co had “killed” plans to offer a 100 megabit per second (Mbps) service over its fixed wireless network. As reported by sister publication Computerworld, Morrow told another Parliamentary hearing in late May that although the cost of adding bandwidth to a fixed-line network grows linearly, adding capacity to a fixed-wireless network grows in an “exponential” manner – a point he reiterated during the hearing on 4 June. Morrow also stressed that the “grooming” – or throttling – idea is just one of a number of possibilities for solutions to ease bottlenecks on the company’s fixed wireless network as demand for data among end users surges thanks to online services such as video streaming. “This is a lot of brainstorming, we’ve got a team of people that we are constantly saying ‘how can we manage a scarce resource to be able to provide the best service for the people in this region that are served by fixed wireless technology, much like we had to do with satellite,” Morrow said.